Muskies are cool. Lake Vermilion is cool. My dad catching a muskie on Lake Vermilion is cool. In the summer of 2015, I was able to fish with my dad, Phil on Lake Vermilion for two days. The fishing was tough, as always, and the weather was beautiful. One day after a nice lunch with my good friends, the wind started to blow, the clouds rolled in, and nice little mid-day window opened up for us. 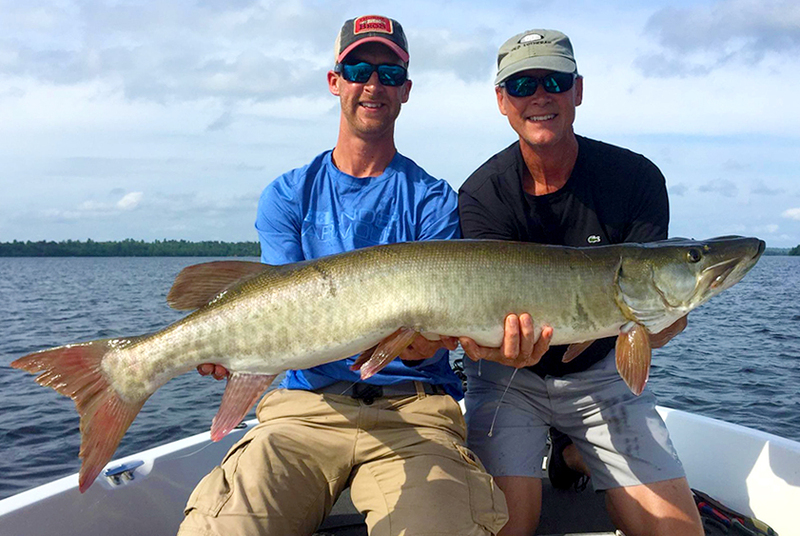 About 1/2 way back on the retrieve, a beautiful muskie grabbed Pastor Phil’s custom Showgirl and gave him a great battle before letting us take her picture. It was one of the high points of my summer and a moment I won’t soon forget.